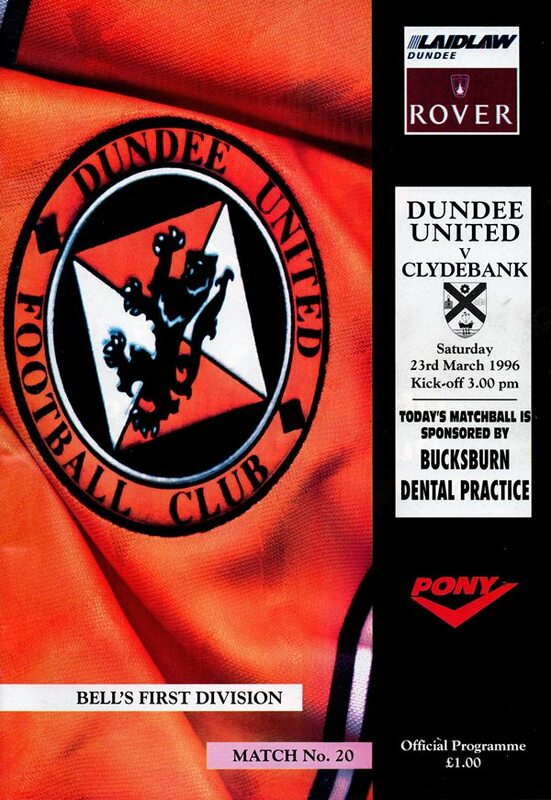 United's record over the Bankies gave our promotion hopes a terrific boost, especially with Dunfermline dropping two points at home to St Mirren and at the same time did nothing to ease the Bankies relegation worries. Ally Maxwell for Kelham O'Hanlon was the only change in the Tannadice lineup from the side that defeated Dundee. The Bankies defence held out for 13 minutes, having previously restricted the Tangerines to a couple of long range pot shots from Steven Pressley and Brian Welsh. But when Dave Bowman's high cross from the right came floating over, Craig Brewster in splendid isolation ran forward to pick his spot with a volley from 12 yards. 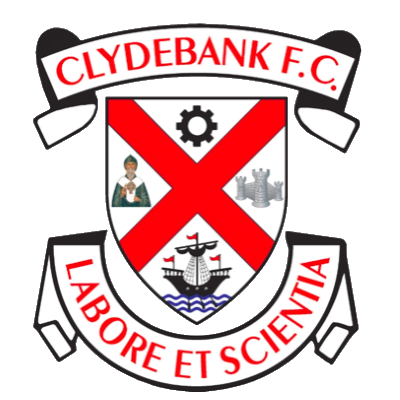 The Bankies emerged from their defensive shell as United's early sparkle evaporated, but two goals in the space of five minute immediately before the interval effectively killed the game as a contest Robbie Winters drifted in from the right and powered in a low shot which reared up in the air off Irons and the ball fell kindly to Craig Brewster who clinically slotted his second past Matthews. United's two goal hero then created the third five minutes later. Irons tried to dribble the ball out of trouble, but Craig got a foot to the ball and it ran loose to Gary McSwegan who capitalised with a shot on the turn. It was very much one-way traffic in the second half, although there was more than an element of good fortune attached to the fourth goal. Owen Coyle's reverse pass found Gary McSwegan and his shot on the turn hit a defender and went over the keeper who had spread himself as he tried to block the shot. It was 13 minutes into the second half before Ally Maxwell was called into action when he clawed away Nicholl's well struck shot. But it was really a procession towards Matthews goal with the main question being whether Craig Brewster or Gary McSwegan would get his hat-trick first! Well Craig won that particular contest 13 minutes from time. He made the opening bearing in on goal from the left. Matthews blocked his shot and Owen Coyle appeared to have turned in the rebound until a defender popped up on the line to clear. However, the ball only arrived back at the feet of Owen Coyle and chipped back across goal for Craig Brewster to complete his hat-trick with a diving header from point-blank range. Five minutes from time United made it six when Owen Coyle headed in a cross from Andy McLaren. Gary McSwegan would have made it seven to complete his hat-trick a couple of minutes from the end had his raging free-kick from 25 yards not come crashing back off the crossbar a couple of minutes from time.